Located at a roundabout around halfway between Tuileries Garden and the Arc de Triomphe, the fountains were inaugurated by Paris mayor Anne Hidalgo on March 21, and have divided opinion in the City of Light. “When you’re close up, it’s original, but when you go down the Champs-Elysees and you look at them all together, you might think that it’s a bunch of scaffolding that’s been put up and needs to come down at some point,” one long-time resident grumbled to AFP as she walked past. The six shiny fountains, which rotate to mimic the swirling traffic at the busy intersection, resemble oversized pencils jutting into the air. Each fountain is comprised of a four-storey-high, bronze-alloy pole that supports three descending arms made of pieces of Swarovski cut crystal studded with LED lights that sparkle at night. 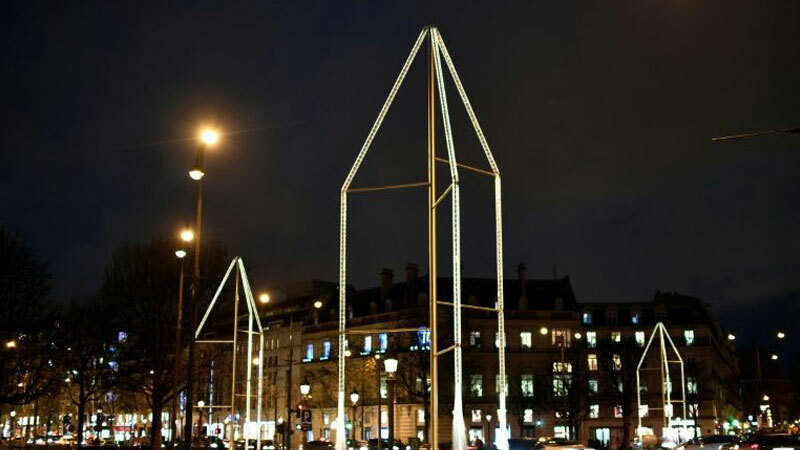 The 6.3-million-euro ($7.1 million) project is the first major initiative of the Paris Foundation, which was established in 2015 to raise money for public projects with a “strong emphasis” on contemporary art. The project was fully funded by private donations and helped along by a significant discount on the crystal. At the end of 2017, a public campaign was launched to prevent the installation of a privately funded sculpture of giant tulips by artist Jeff Koons which was “gifted” to the city after the 2015 Paris terror attacks. Just over a year after its inauguration, many residents of the poverty-wracked Porte de Clignancourt area on the northern edge of the city are still unhappy with a giant red heart installed on a pole that cost 650,000 euros in public money.